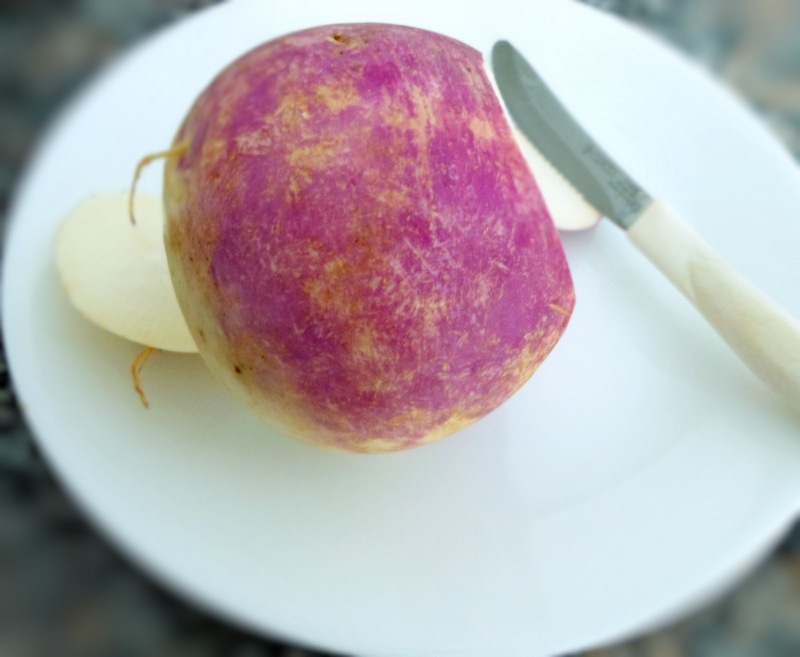 As root vegetables are in season right now, I have been experimenting with interesting ways of cooking them. I brought some turnips home along with carrots and bean sprouts from my last trip to the supermarket. When time came to prepare dinner yesterday, I thought of using all these ingredients to make a dish. Simultaneously, those eggs in the fridge appeared in my vision. So I came up with this 'Egg Foo Young' dish. 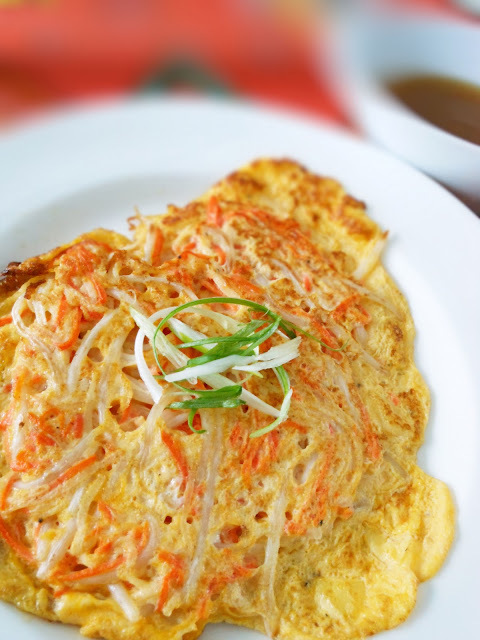 As you may know, Egg Foo Young is one of the dishes that you can find in some of the Chinese restaurants. It is cooked the same way as an omelette. Quite honestly, this was the first time that I had ever used turnips to make Egg Foo Young. I love their sweet flavour. They go so well with carrots and bean sprouts. I also made some sauce and put it on the side. For me, I enjoy eating Egg Foo Young with or without the sauce. Beat eggs in a large bowl. Mix in fish sauce and pepper. Set aside. Pat dry carrots, turnips and bean sprouts. Heat 1 tablespoon of oil in a frying pan. Stir fry carrots, turnips and bean sprouts over medium high heat for about 45 seconds to 1 minute. Season with salt and pepper. Remove from heat immediately. Drain excess liquid if there is any. Add cooked vegetable ingredients to the egg mixture and mix well. Heat 1 tablespoon of oil in a clean frying pan. Pour 1/2 cup of the mixture to the oil. Spread it evenly. Cook until the bottom is starting to turn brown. Flip over and brown the other side. Stir all the ingredients in a saucepan until smooth. Bring it to a boil while stirring over medium heat. Cook until thick. Serve on the side of the egg foo young. I only had Egg Foo Young a few times in a restaurant. I never thought of making it but it's such a healthy light food that I should totally consider making it! Looks so good!! !